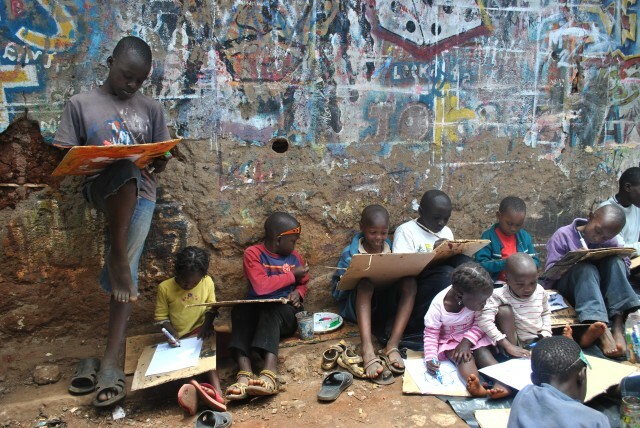 In May we had another month of expressive arts fun in Kibera! 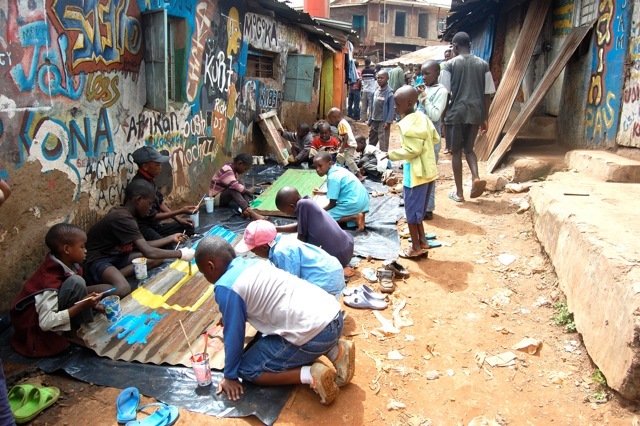 Kibera Kid4Peace continues to paint in the alley ways of the slum. The group enthusiastically has a handful of new members from the children around the neighborhood. We welcome any child walking past to grab a brush and join in on the fun. 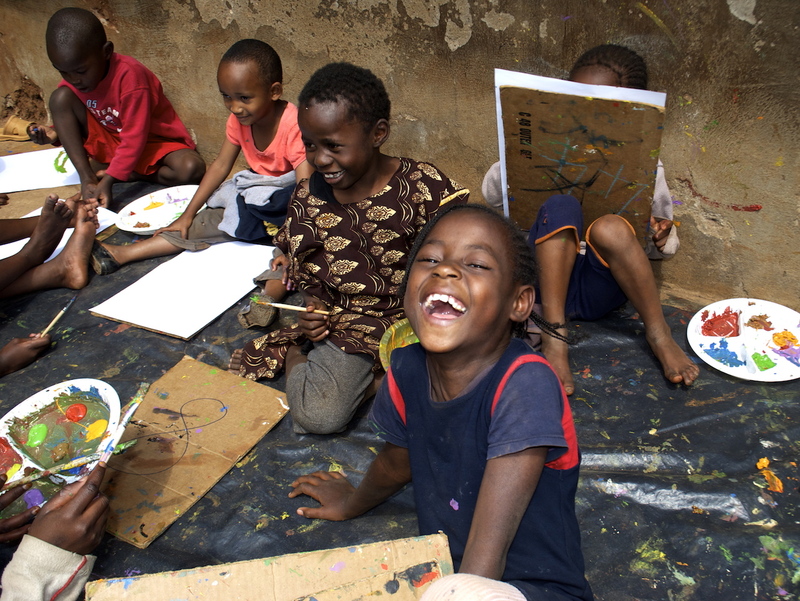 On our last visit a few boys became so involved with the painting they even started painting each others bodies!